in its teaching and environment. 38 week residential care of our pupils is provided across two houses, both in the village of Knossington. The Spinney is for our younger pupils, although some pupils may continue to be cared for at the house as they progress through the school if it is felt they are best placed there. Facilities at The Spinney have been extended to provide additional bedrooms, an outdoor hard play area and a large refurbished playroom. The Manor is close to the main school building and has benefitted from refurbished bedrooms and bathroom. 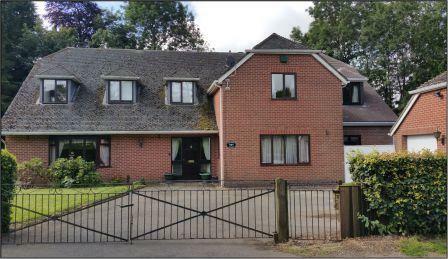 Both are large attractive family houses separate from the school buildings, with their own gardens. The houses provide a very high standard of living accommodation, a homely atmosphere and opportunities for the pupils to engage in a wide variety of activities that support the 24 hour curriculum. Our two beautiful school houses provide residential care for up to 16 children. 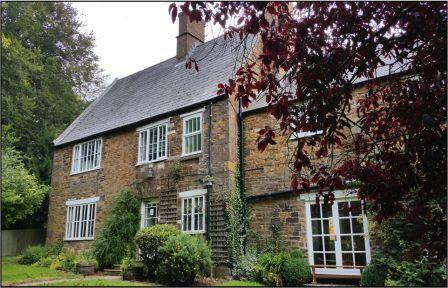 The older students stay in The Manor, which is right on the school doorstep, and the younger ones live in The Spinney; just a five-minute walk from school in the heart of the quiet village of Knossington. They live with us during the week and then travel home on a Friday before returning on a Sunday evening. Our care team work very closely with school staff to ensure there is consistency of care, but we make sure that home feels like home and not an extension of the classroom. Of an evening you’ll often find our young people getting dinner ready, helping out with the chores and sitting round the kitchen table doing their homework – just like any other family. We have very clear boundaries and house rules, which we know give the children the sense of security they need. Children contribute to every aspect of family life, and through regular house meetings they can offer ideas and suggestions to improve the home. Whatever their requests, be it to repaint the bedrooms or more menu choices, we always listen and make every effort to respond. Within these large residential houses each child has their own bedroom, which they love to decorate themselves. We have huge living rooms and playrooms, with plenty of toys and games for the children to enjoy. Outside we are fortunate to have large gardens, a hard surface for them to play on and access to woodland where we have built a bike track. We have also converted the garage areas into outdoor games rooms. All the children who stay with us have an opportunity to try a range of afterschool activities, such as skateboarding, swimming or bowling. We have a close knit residential team who make sure our children are well cared for, happy and safe on a day-to-day basis. From the moment a child is referred to our residential team they make personal contact to ensure their transition into the house is smooth as possible. We find that the children who stay with us are remarkably understanding and welcoming when new additions join our family.